Krakow, listed by UNESCO as one of the World’s 12 most historic sites, was miraculously spared from destruction during WWII. Discover the historic heritage of Krakow as you walk through its streets from Krakow’s Old Town and Kazimierz Jewish District to Wawel Castle and the Jagellonian University. Kazimierz Ghetto, the once bustling Jewish quarter: a snapshot of Jewish life with its synagogues and museum. Auschwitz and Birkenau Concentration Camps: 60 km from Krakow, Auschwitz has become a symbol of the Holocaust. Wawel Royal Castle: centre of secular and ecclesiastical power in Krakow. The Barbican: the city’s main gate, topped with seven turrets. We base our groups in 3 star hotels, all situated within walking distance of the historic centre. Depart the UK by air for Kraków, where you can take a guided walking tour of the Old Town and Kazimerz Jewish Quarter. Spend the morning admiring the intricate sculptures found inside the Wieliczka Salt Mines. Your afternoon is free to explore the Old Town and Grand Square. 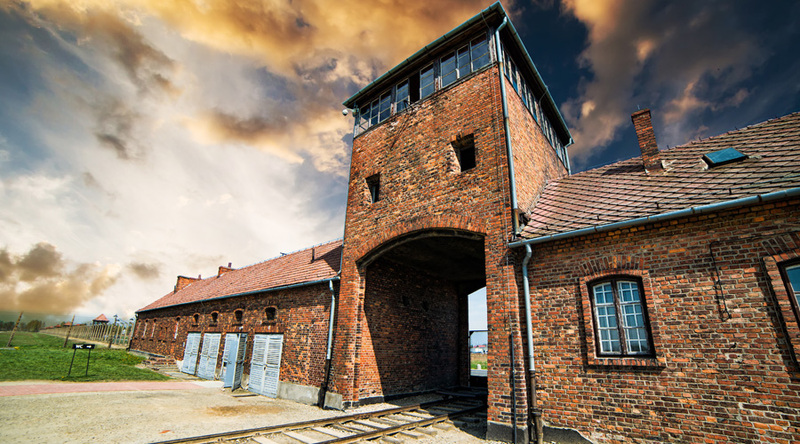 Meet your guide for a full day’s excursion to Auschwitz Concentration Camp and Birkenau with the option to stop at Schindler’s Factory on the way. In the evening, enjoy a traditional Polish folklore evening which will include a three-course meal. Spend the morning in the Market Square at the Cloth Hall, followed by a visit to the Wawel Castle. Free time for last minute shopping before your flight home.